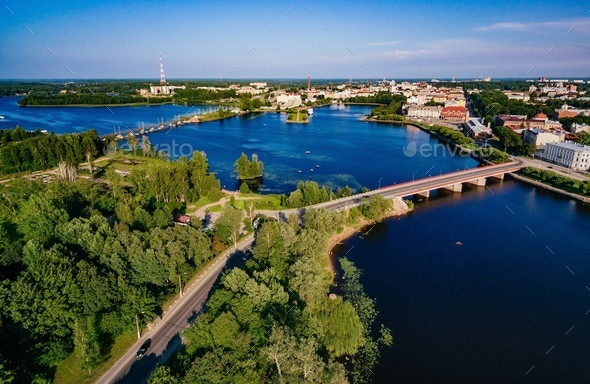 Aerial view of Vyborg city panorama, Russia. Aerial view of Vyborg city panorama, Russia. Beautiful summer landscape.